The perfect gift for a loved one that is what this wall frame designed, made and exclusive to us is. 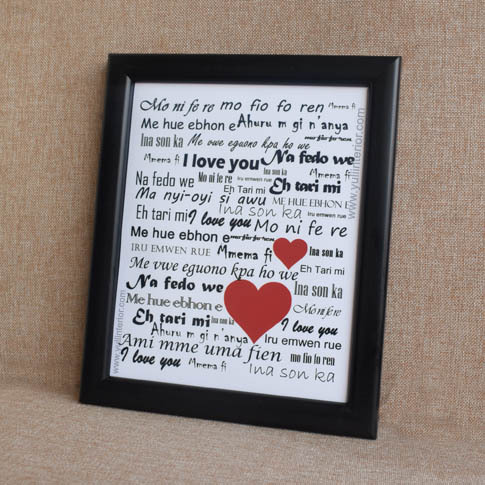 The words 'I love you' expressed in Igbo, Hausa, Itsekiri and many other Nigerian languages. Custom designs available at an additional cost. If you desire a name written on it or in a language not written on this sample image, contact us.